Shelby graduated from Texas A&M University in 2008 with a Bachelor of Science degree. After working in sales for a few years, she decided to follow in her mother’s footsteps and came aboard the Ahlers and Stoll team full-time in 2010. 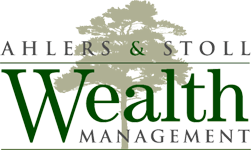 As a Financial Assistant to Pamela Ahlers, she has obtained her Texas Life and Health insurance license and works with clients to help shelter their assets from stock market volatility and manage risk. Shelby is continually building on her education to create a strong knowledge base of financial products and the industry. 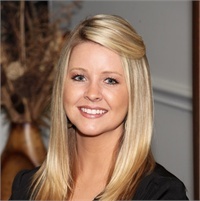 One of the outstanding things about Shelby’s personality is her dedication to delivering world-class client service. Not only does she strive to proactively meet client needs, but she also treats others with the utmost respect, care, and compassion at all times. Shelby, a native Houstonian, currently resides near Downtown with her husband, Chase, and cat, Cooper. Her personal interests include traveling, golfing, spending time on the lake, and attending social events.